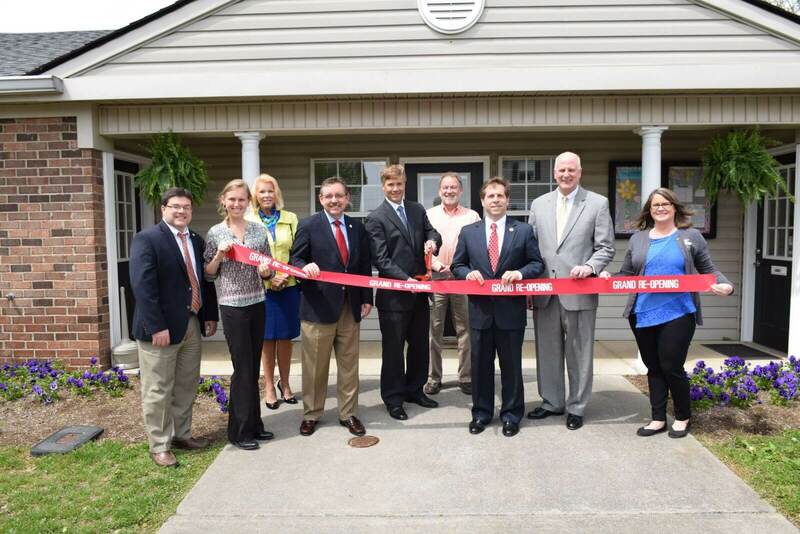 "Clarksville, TN – Miller Town Apartments celebrated a grand reopening Wednesday after renovating all 96 apartment homes, thanks in part to funding assistance from the Tennessee Housing Development Agency (THDA). 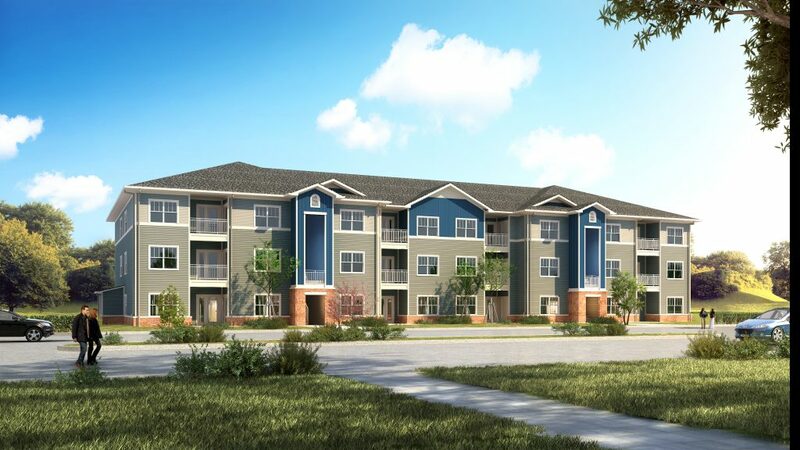 The apartments are on Jack Miller Boulevard near Fort Campbell and feature two and three-bedroom apartment homes with modern kitchens, an outdoor pool, a playground and a community room. “Miller Town is a beautiful example of what affordable housing looks like in Tennessee,” said THDA Liaison Denise McBride, who helped cut the ribbon at the celebration. “THDA is proud to be a partner in projects like this that provide quality, affordable housing in Clarksville. The renovation of Miller Town Apartments was financed in part with $5.3 million in tax exempt multi-family bonds and a $229,000 low income housing tax credit allocation, which equates to almost $2.3 million in tax credit equity for a 10-year period. In Tennessee, the bond authority and the housing credit programs are administered by THDA. These programs were created to help private sector developers finance the construction or preservation of affordable rental housing. In exchange for using the THDA financing to help cover construction costs, apartment communities must keep rent affordable to Tennessee families of low income. “We're thrilled with the results of the investment we've made in renovating Miller Town Apartments, and we're proud to help ensure a high quality of life for the families who live here,” said Highmark Holdings Managing Director and Enfield Management President Robert King. Miller Town Apartments is owned and was renovated by Highmark Holdings LLC and is operated and managed by Enfield Management. Miller Town Apartments is located at 395 Jack Miller Boulevard in Clarksville Tennessee." "Opened in summer 2017, the Paddock at Grandview is a 240-unit affordable housing development in the West Trinity Lane neighborhood of Nashville, Tennessee. Although West Trinity Lane is located just minutes from downtown Nashville, the Paddock was the neighborhood's first new development in decades. Because of the area's need for affordable housing and new investment, developer LDG Development enjoyed substantial support for the project from both the city government and residents. 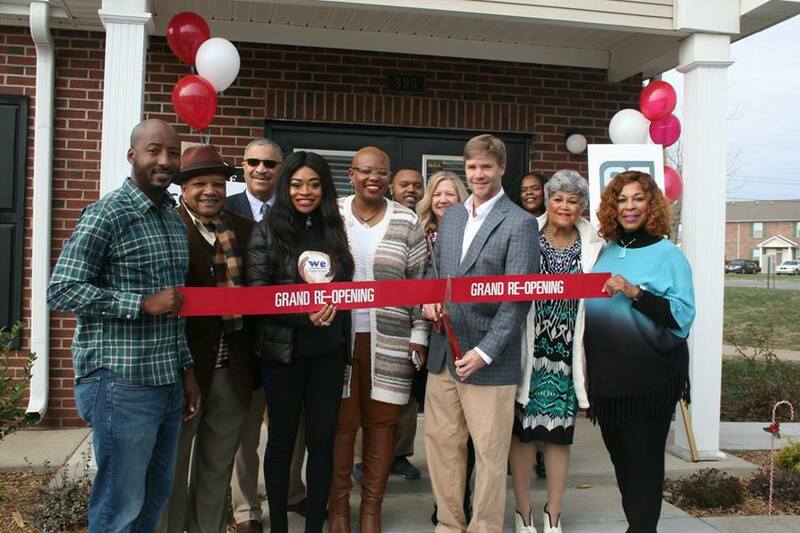 Due in part to this strong support, the Paddock at Grandview was the first housing project to receive a tax relief agreement through Nashville's affordable housing payment in lieu of taxes (PILOT) program. Built on a hill overlooking downtown Nashville, the Paddock at Grandview gets its name from the captivating views of the city skyline that can be seen from many units and from Scruggs Lane, the road approaching the development. The development consists of a clubhouse and 10 residential buildings with 24 units each. In all, there are 24 one-bedroom, 108 two-bedroom, and 108 three-bedroom units. Eligible tenants must earn no more than 60 percent of the area median income. Two apartments are reserved for the onsite manager and the maintenance manager. All first-floor units are adaptable, with open floorplans for easy navigation. Eighteen units are fully accessible, and these accessible units are available in each of the three floorplans. All units feature energy-efficient ENERGY STAR® appliances. LDG Development selected the 13.59-acre site because of its proximity to downtown and a bus line. Evan Holladay, development manager at LDG Development, explains that an additional factor influenced the decision to build in West Trinity Lane: “The neighborhood group Nashville North by Northeast played a role in selecting the site and supporting it once it had been selected.” The organization, which is composed of residents and local business owners, advocated for redevelopment of the neglected neighborhood. “[The development] received a very warm, welcoming response,” says Holladay. Construction of the Paddock began in summer 2016 with substantial site work, including rock blasting and the improvement of approximately 100 feet of an adjacent public road. In addition to the residential buildings, the Paddock has an outdoor playground as well as a clubhouse, a single-story building at the development's entrance that houses management offices and resident amenities such as a workout facility, a computer room, an outdoor pool, and community space. The 2,500-square-foot community room is used for informal gatherings, community events, and structured services provided by manager Enfield Property Management or its partner organizations and is also available for residents to rent. Enfield Property Management employs a full-time resident services coordinator who has started a neighborhood group and a neighborhood watch organization for the Paddock. Other services include a financial literacy education series provided by Regions Bank and an afterschool tutoring program provided by another community partner. Tennessee is among a minority of states that permit local tax assessors to include the value of tax credits issued through the LIHTC program in the property's assessed value. As a result, LIHTC properties in the state can incur unusually large property tax bills. Holladay reports that this method of assessing LIHTC properties would have made the Paddock's tax bill approximately $380,000 for the first year. Such a high bill, says Holladay, would have made the development financially unfeasible. However, because West Trinity Lane had such an intense need for affordable housing and new development, city agencies, including the mayor's office and public housing agency, were willing to work with LDG and state representatives to pursue a change to state housing law. In 2015, after a year of work, the Tennessee legislature amended the state code to permit MDHA to enter PILOT agreements for LIHTC properties. These PILOT agreements allow MDHA and an affordable housing developer to negotiate a property tax payment lower than the project's assessed tax liability. In the case of the Paddock at Grandview, the first development in Nashville to use such an agreement, MDHA took ownership of the title to the property for 10 years and LDG agreed to make a $612,997 payment over the same period. This payment, which amounts to $53,472 for the first year with an annual 3 percent increase, reduces the tax burden of the project by $3.7 million. “This project would not have been possible without the PILOT,” says Holladay. The Paddock at Grandview is fully occupied as of September 2018, with a waiting list of several hundred. As for the development's impact on the West Trinity Lane neighborhood, Holladay describes the area as “completely transformed” since the construction of the Paddock: “Since that project was completed, that whole area has seen a rebirth.” LDG Development has plans to develop several more affordable housing projects in Nashville, and Holladay emphasizes the firm's commitment to the city: “We're doubling down in Nashville.” One of LDG's several planned projects has already received approval to enter into a PILOT agreement, demonstrating that the program will continue to facilitate affordable housing." "NASHVILLE, TN — Construction of phase two of the Biltmore Place Apartments is now underway, offering 42 brand new affordable apartment homes to the Donelson area. 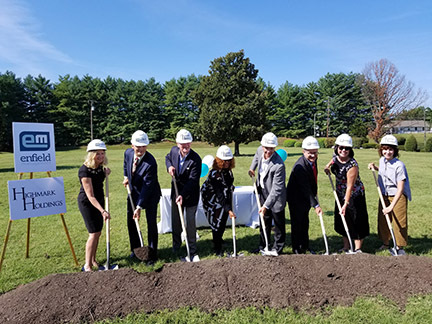 Nashville Mayor David Briley was among the dignitaries wielding a shovel when the developer, Highmark Holdings, LLC, broke ground Friday morning. Construction is being funded in part by $6.3 million in Low Income Housing Tax Credits (LIHTC), awarded by the Tennessee Housing Development Agency, and a Payment in Lieu of Taxes (PILOT) awarded by the Metropolitan Development and Housing Agency. “Nashville needs more affordable housing,” said Mayor Briley. “Biltmore Place is a great example of how private developers can leverage city and state funding to meet that need.” “We always want to help working families live closer to their jobs, because all of the time and money they're spending on long commutes would be better spent with their families,” said Denise McBride, Middle Tennessee Liaison for THDA. “Having affordable housing right here in Donelson can make a huge difference in the lives of families who work in the downtown, Opry Mills, or airport areas.” Biltmore Place's phase two is located on Massman Drive near Glastonbury Road, about three blocks from Briley Parkway and two miles from I-40. “We're giving people who earn $13 or $14 an hour the opportunity to live in brand new apartment homes with modern appliances and design features, and that wouldn't be possible without the support of our city and state governments,” said Highmark Holdings Managing Director Robbie King. “These are people who keep the Nashville's economic engine running,” said McBride. “They need to know that affordable housing is available and that the affordability of those homes is going to be protected for years to come.” Under the rules of THDA's tax credit program, these apartments are exclusively available to low-income households earning less 60 percent of the Nashville's media income for at least the next 15 years. Maximum household income varies by apartment size. A household renting a two-bedroom apartment can earn no more than $40,500 annually under the current rules. Biltmore Place's phase two will be operated and managed by Enfield Management, as is phase one, which is located next door on Glastonbury Road. All of phase one's 176 apartment homes are set aside for low-income households. THDA manages the Low Income Housing Tax Credit (LIHTC) program in the state of Tennessee. A federal program, LIHTC was created under President Reagan to incentivize the private sector to build and/or renovate apartments for people who earn significantly less than the area's average annual income. As the State's housing finance agency, the Tennessee Housing Development Agency (THDA) is a self-sufficient, publicly accountable entity of the State of Tennessee. Our purpose is to meaningfully expand affordable housing opportunities for Tennesseans. More information about THDA can be found online at THDA.org." NASHVILLE - Renovations at Ridgetop Apartments are being planned by new owner Highmark Ridgetop, L.P., a limited partnership formed by Highmark Holdings, LLC. Highmark Ridgetop L.P.O purchased the apartment complex at 2009 Layman Road in Athens on April 21 for $2.5 million. Ridgetop at Athens is a 96-unit multifamily rental community which was purchased utilizing tax-exempt bond financing allocated by the Tennessee Housing Development Agency. The lender, Berkadia Commercial Mortgage, LLC, as seller/servicer for Freddie Mac, purchased tax-exempt bonds issued by The Health and Educational Facilities Board of the City of Athens. As part of the transaction, Highmark will perform a renovation of the property which will include repairs to buildings, new heating and air conditioners, parking lot repairs, landscaping additions, and various interior upgrades. Ridgetop at Athens will be operated and managed by Enfield Management, a full service property management firm that focuses on the management of residential rental properties. Highmark Holdings, LLC is a Nashville-based developer and sponsor of multifamily housing, specializing in developments which qualify for tax-exempt bond financing. 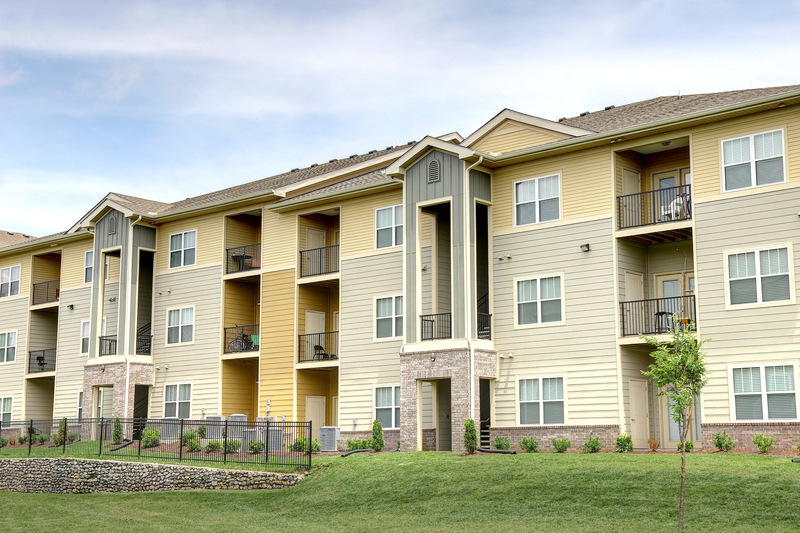 Since 2007, Highmark-sponsored entities have now purchased seven apartment communities in Tennessee totaling 1,336 units. The purchase of Ridgetop at Athens Apartments represents Highmark's first purchase outside of the Greater Nashville area. "The purchase of Ridgetop at Athens Apartments represents another opportunity for Highmark to upgrade and enhance a multifamily asset," said Highmark Managing Director Robert King. "We look forward to providing housing for 96 families and to being an active, contributing part of the Athens community."